Alabama: An assistant pastor at a Mount Vernon church faces a series of drug charges after authorities said she tried to forge drug prescriptions and was found with hundreds of pills that did not belong to her. 43-year-old Bertha Wright, who lives in Pensacola, was arrested March 5 after trying to fill a fraudulent prescription at a Florida pharmacy. 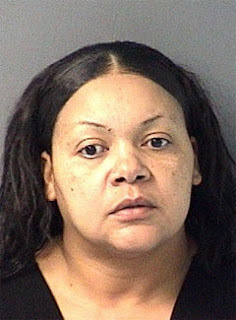 Wright was charged with 11 counts of possessing a controlled substance without a prescription, three counts of obtaining a controlled substance by fraud, one count of trafficking in hydrocodone and one count of possession of a blank prescription. Florida authorities said Bertha Wright had a variety of drugs -- such as Lorcet, codeine and methadone -- when she was arrested.